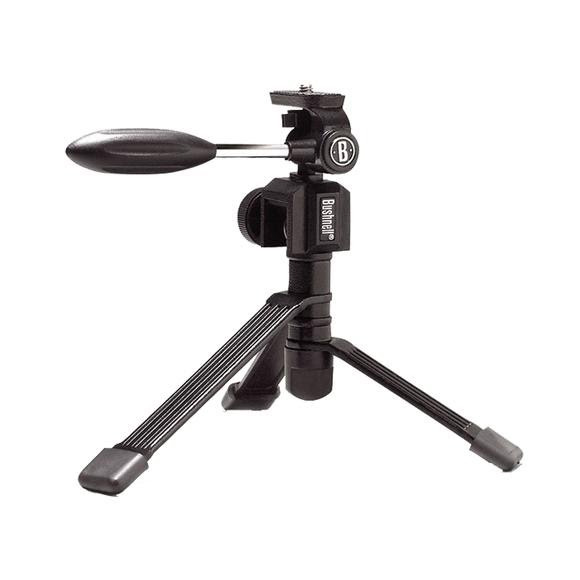 Bushnell's compact tripod that's easily taken along anywhere and converts to a car window mount. It is easily adjustable and is perfect for spotting scopes. Tighten it down and glass away. Bushnell&apos;s compact tripod that&apos;s easily taken along anywhere and converts to a car window mount. It is easily adjustable and is perfect for spotting scopes. Tighten it down and glass away. 2-in-1 design: tripod and window mount. Portable design allows for storage in your glove box or other compartment.